I spent the weekend at St. Benedict’s, a monastery just minutes north out of the city, at their annual Advent retreat, “Winter Stillness.” It wasn’t my first time at St. Ben’s, but it was my first time doing a retreat of this kind, all of us silent, and essentially on our own but for three meetings with a spiritual director to whom each of us was assigned. But there’s a few observations about the broader gifts of such a weekend — gifts we can open in other settings as well — that I want to share with gratitude after my days away. The gift of hospitality: Hospitality is part of the Benedictine Rule, so they have a long habit of it, but my, how very well they do it! 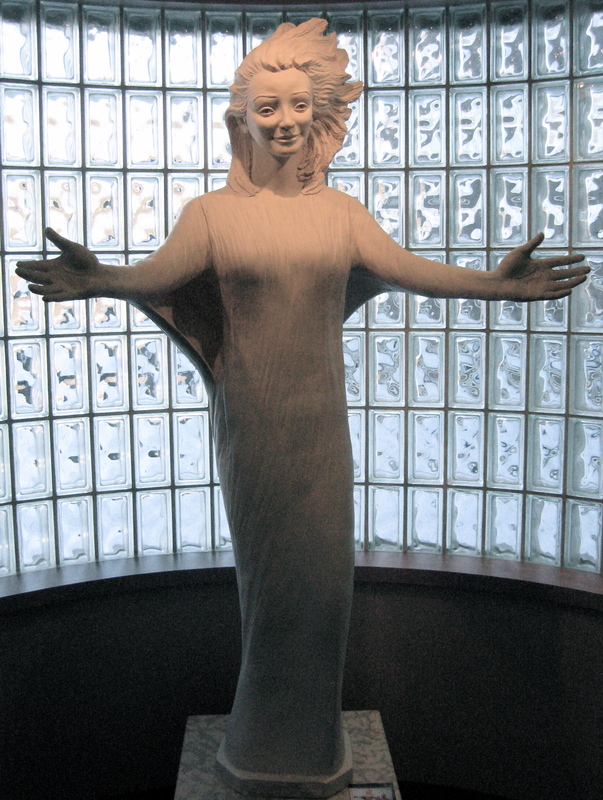 It’s the hospitality of warm welcome, as the “Christa” at the retreat entrance so aptly depicts. But it’s also a hospitality that, while attentive, strikes me as somehow inattentive too, unintrusive, never hovering. Completely unapologetic, trusting, accepting. I think this fine balance of attentiveness and inattentiveness must truly come from committed practice of it, and I suppose the Benedictines have learned that eventually a hovering hospitality will exhaust its giver, if not the receiver. But perhaps it’s also a Spirit-gift. I’ve experienced it from various people at various times in my life, and would like to grow in giving it in that particular way. I’m not sure I’ve even found the right words to describe it, though. Perhaps some of you know the kind of hospitality I’m talking about and may have insights to share. The gift of silence: Silence between people can be so many other things than a gift. It can be confusing, cruel, selfish. But when silence is shared and intentional, when it’s insisted upon for the purposes of personal soul care, it can be a wonderful thing to experience, even as a group of strangers. We came to be quiet; we were given permission to keep quiet. We might nod or murmur a greeting when passing, but we knew what the withholding of further niceties was all about and how respectful it was of ourselves and the others. The group was small enough — about 15 or so — that we each sat at a table alone for meals. The only sounds were the occasional ping of cutlery against dishes, like the ring of a tiny bell, the scraping of a chair, sometimes the sound of footsteps (oh, and the crunch of taco chips at Saturday’s lunch!). But our last meal together was a “talking lunch.” How fine it seemed to get to know one another then, and share bits of our weekend. Once silence has been opened as a gift, speaking seems an extraordinary blessing as well. 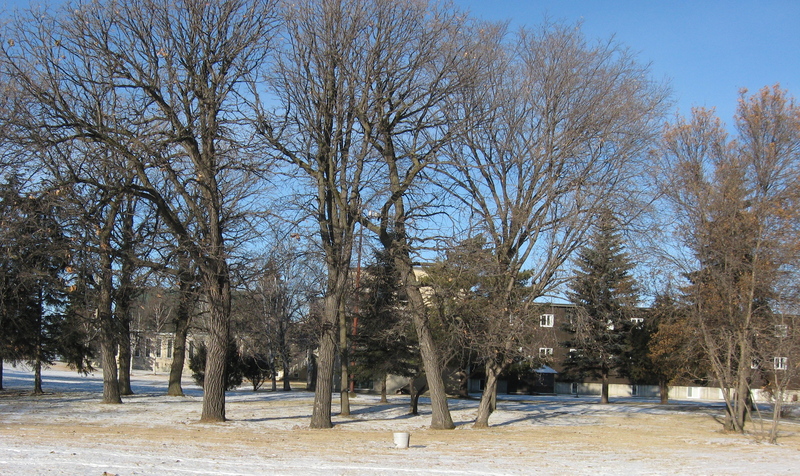 This entry was posted in Personal and tagged hospitality, silence, St. Benedict's, Winter Stillness by doradueck. Bookmark the permalink. Ahhhh…I went to a similar retreat in Feb. 07. I was about to turn 50 (and to graduate with my BA). I was there specifically to ask God whether or not I was on the right track. I have wonderful stories of God’s answers. Fortunately, I told my friends what God said to me because now, when I am weak and weary, they quote me back.